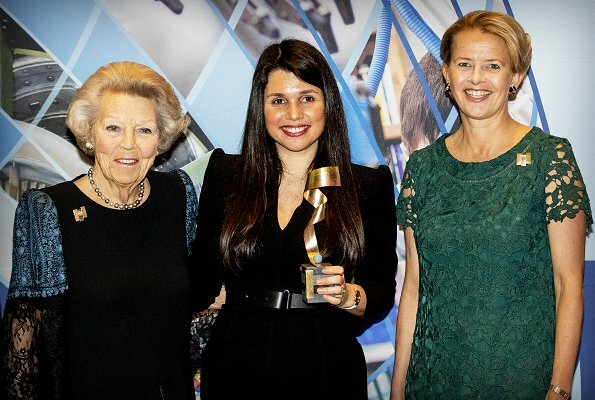 On March 18, 2019, Princess Beatrix of The Netherlands and Princess Mabel of The Netherlands presented the fifth edition of the Prince Friso Engineers Awards at the ASML Building in Veldhoven. The winner of this year was Maja Rudinac. 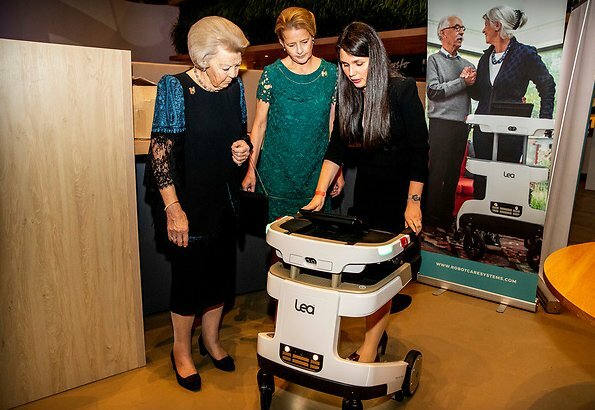 Maja Rudinac from Robot Care Systems developed a robot to enable the elderly to be more independent at a later age. Royal Engineering Institute (KIVI) awards are given to engineers who make contribution to innovations, entrepreneurship and social fields. Prince Friso was a mechanic and space engineer and a member of KIVI. Yes, they do. And they always have had, from the beginning with Friso... to the end. 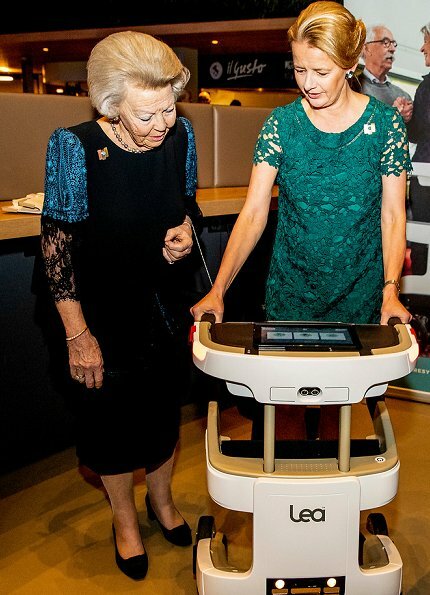 Such nice pictures of former Queen Beatrix and princess Mabel. Such good friends! Not much about fashion here, but a lot of heartbreaking sympathy and remembrance. The bow on Mabels coat for example. Mostly I do not like Mabel's outfits, but she looks gorgeous here. I love it. The dress is too short in my opinion, but the colour, her hair and accessories are well put together. Love these two. Not a huge fan of the outfits although I love Mabel's coat - she's always had a penchant for bows. Mabel is looking good. I like her hairdo and all. Mabel's outfits are often too "avant garde" for me but this is lovely. Just wish the dress was a little longer. her hair is lovely too. 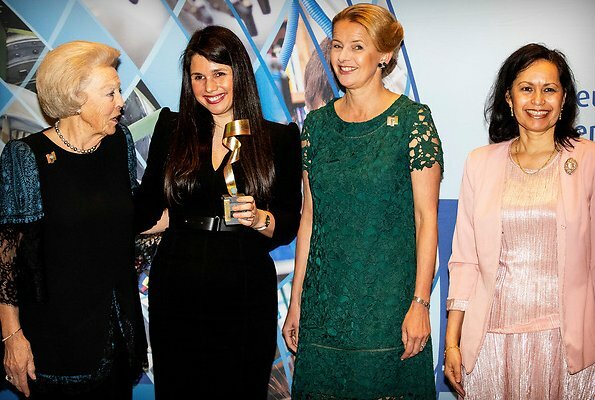 So nice to see her and Queen Beatrix celebrating Prince Friso together. What warm greeting, how nice both Ladies look today. Great color and style for Mable's dress also like her hairstyle. Very well put together. 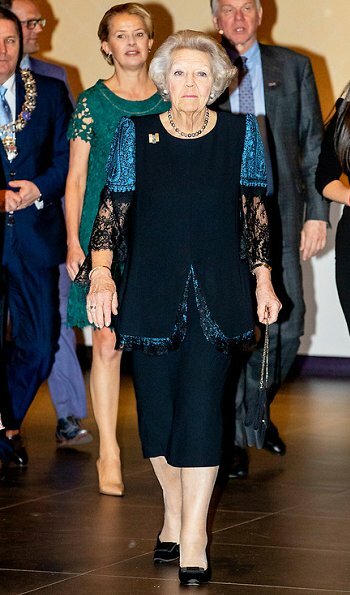 Pss Beatrix always look great. I agree with everyone here - they both look great and it´s so nice to see them together. Mabel looks lovely! Beautiful person too!